A simple, natural and safe method of spiritual healing and self-improvement, Reiki, can be used by everyone. It has been effective in helping to heal many illnesses providing and always provides a beneficial effect. In addition it works in conjunction with all other medical or therapeutic techniques to relieve side effects and promote recovery. Reiki is not taught in the usual sense, but is transferred to the student during a Reiki class during an “attunement” given by a Reiki master. This allows the student to tap into an unlimited supply of “life force energy” to improve one’s health and enhance the quality of life. As a Reiki Master certified over fifteen years ago, I have taught Reiki to over one hundred students of many different backgrounds. I believe that Reiki is spiritual in nature, but not a religion, subsequently there is nothing you must believe in order to learn and use Reiki. It is not dependent on belief at all and will work whether you believe in it or not. Because Reiki comes from God, many people find that using Reiki puts them more in touch with the experience of their religion rather than having only an intellectual concept of it. Dowsing classes are offered as a precursor for the course in Radionics. Dowsing is a practical method of obtaining a clear and reliable intuitive response in the search for information or answers. It is also searching for anything by projecting an intent of what is desired and receiving confirmation or non-confirmation feedback through the body, usually by the movements of a dowsing instrument, most notably an L-rod or pendulum. The quick answer is that no one really knows — not even experienced dowsers. Some theorize there is a psychic connection established between the dowser and the question asked. Theory states that all things possess an energy force. The dowser, through intention concentrates on an issue. 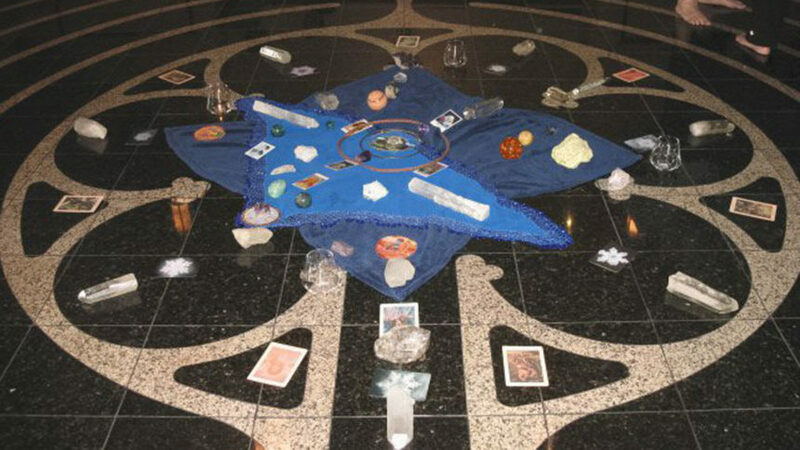 An energy force or “vibration” causes the dowsing tool to move. The tool may act as a kind of amplifier or antenna for tuning into the energy. There are many theories on where the subconscious retrieves the information that elicit’s a response to the dowser’s questions. One theory is that the subconscious is merely a collective library of everything that you have known in this life, past lives, and others’ lives. The other is that Universal Consciousness is available to all. The answers may be derived from those databases. When used properly, dowsing instruments can serve as the stepping stone to a higher spiritual path. Classes will be taught upon request. Copyright © 2019 Healing By Energy. All Rights Reserved.